Tour #12: Calling all Pizza Picassos! Enjoy a half day Group of Seven Experience. 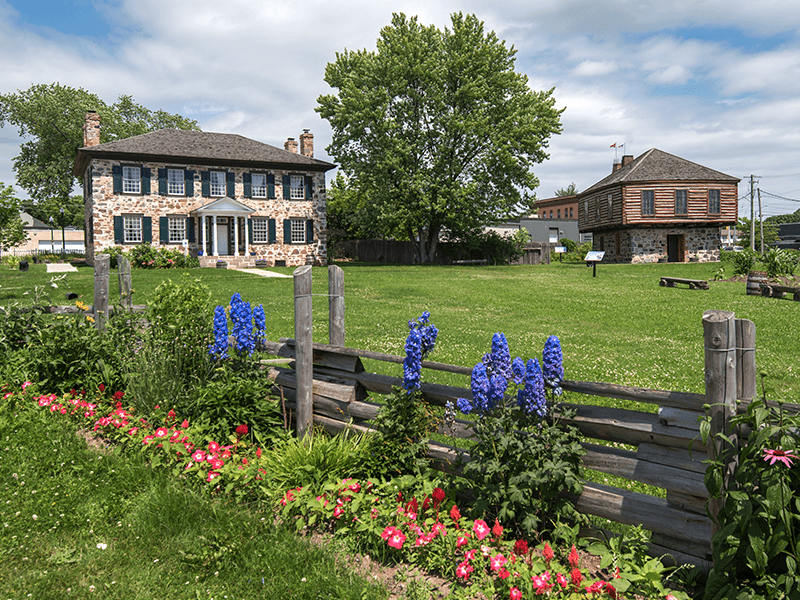 Your experience starts at Ermatinger-Clergue National Historic Site with a heritage lunch accompanied by our War of 1812 soldiers. The heritage lunch will be prepared in the old stone house summer kitchen over an open hearth. Following full demonstrations, watch the Group of Seven artists come to life in a one man show, painting a picture of the first defining moments of these artists. Original written and staged by local artists, this Moments in Algoma theatre production will be presented in our new Heritage Discovery Centre interactive theatre. Finish your afternoon with a visit to the Art Gallery of Algoma admiring the Group of Seven Gallery of original prints. The curator provides the unique history of Canada’s Group of Seven in Algoma! 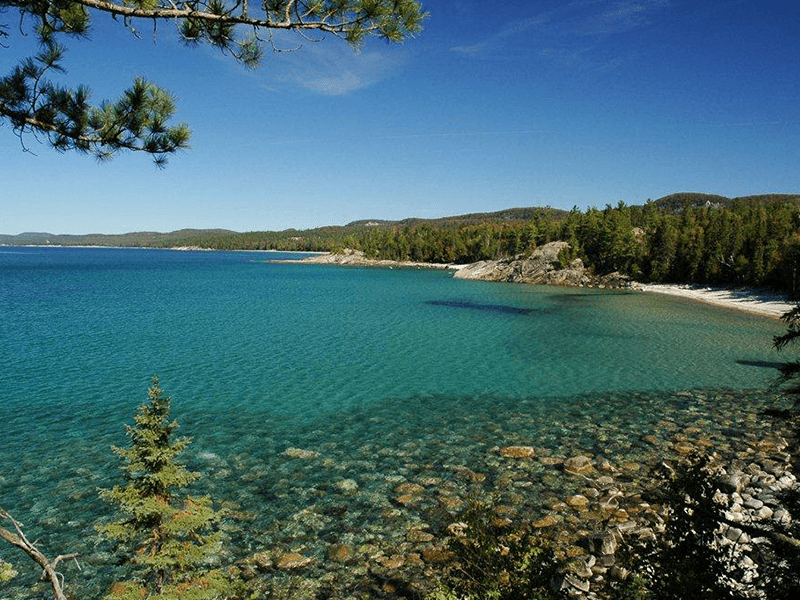 Named as one of the top 10 drives in North America, this spectacular adventure takes you along the Canadian Shield and the coast of Lake Superior. Photo op? Chippewa Falls, centre of the Trans-Canada Highway and iconic location of the Group of Seven provides the perfect selfie spot! Feeling a bit adventurous? A moderately difficult hike to the shores of Lake Superior will lead you to a sacred site, the Agawa Rock Pictographs. Generations of Ojibwe First Nations came here to record their dreams and spirits in red ochre. Enjoy a lakeside lunch provided by the Voyageur Lodge and Cookhouse. Francois the Voyageur will greet you while you enjoy an authentic French Canadian meal in Batchawana Bay along the coast of Lake Superior. Enjoy a guided stroll in our historic downtown – explore local shops and indulge in culinary treats at local restaurants as well as craft beers. 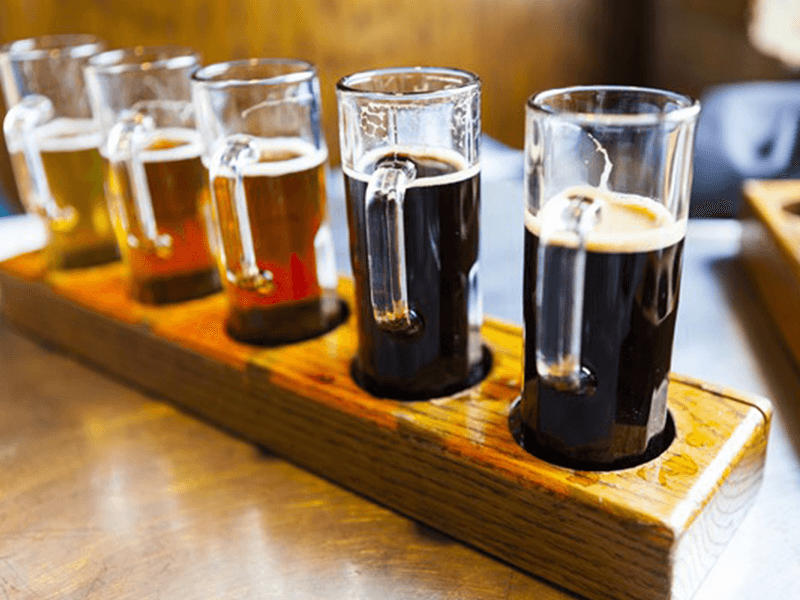 Stop by places like Shabby Motely and Outspoken Brewery, just to name a few. Required? Your appetite! This historic island on the edge of St. Mary’s Rapids in downtown Sault Ste. Marie boasts 22 acres of beauty, nature, wildlife and walking trails. Take in the culture of the original gathering place on Batchawana Band Whitefish Island Reserve with a guided hiking tour, medicine lessons, bird watching and picnic lunch. Completed in 1895, the Sault Ste. 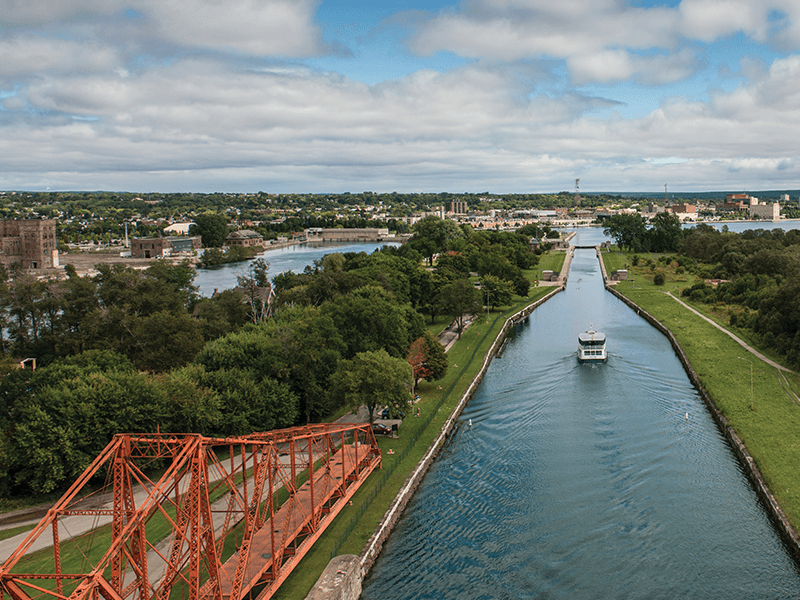 Marie Canal is the last link in an all-Canadian navigation system stretching from the St. Lawrence River to Lake Superior. Designed and built by Canadians, this was the world’s oldest lock and the first to operate with electric power. An emergency swing dam is on site and is still functional today. 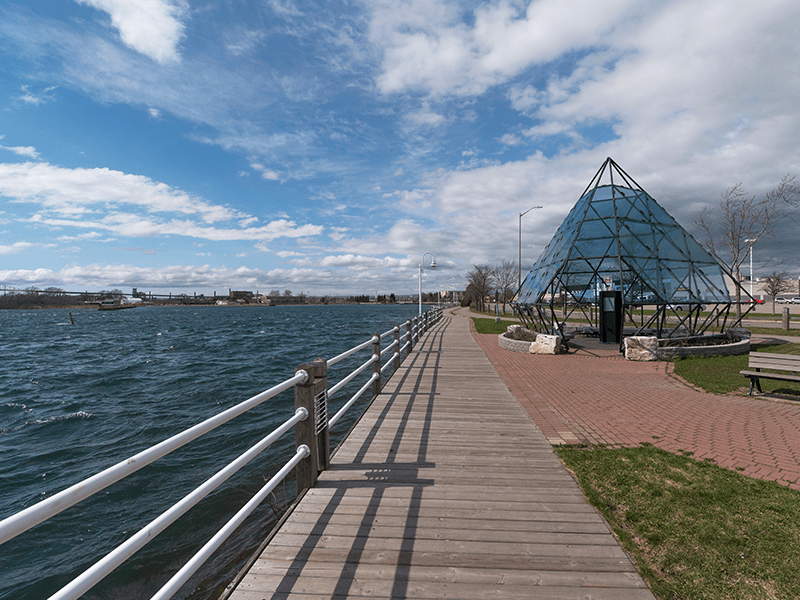 The half-day experience includes a picnic lunch, guided tours, canal operations and St. Mary’s River Island located under the International Bridge. 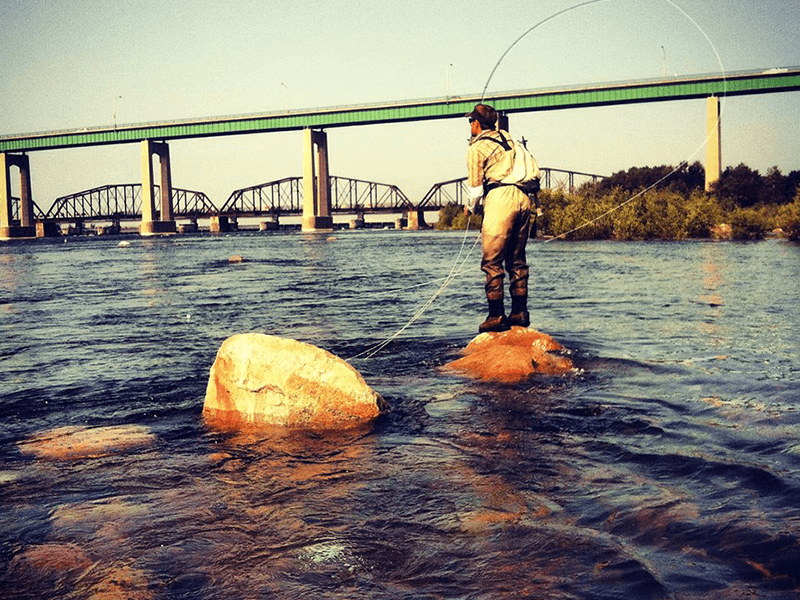 Fishing options: Rainbow Trout, Steelhead, Atlantic Salmon and Pacific Salmon. The famous St. Mary’s River Rapids are located in the core of Sault Ste. Marie, Ontario. The delegates would participate in a half-day of fly fishing, with introductory lessons and shore lunch. 1. Standing and walking in waist deep water. 2. Delegates must have valid ID to apply for fishing licence, etc. 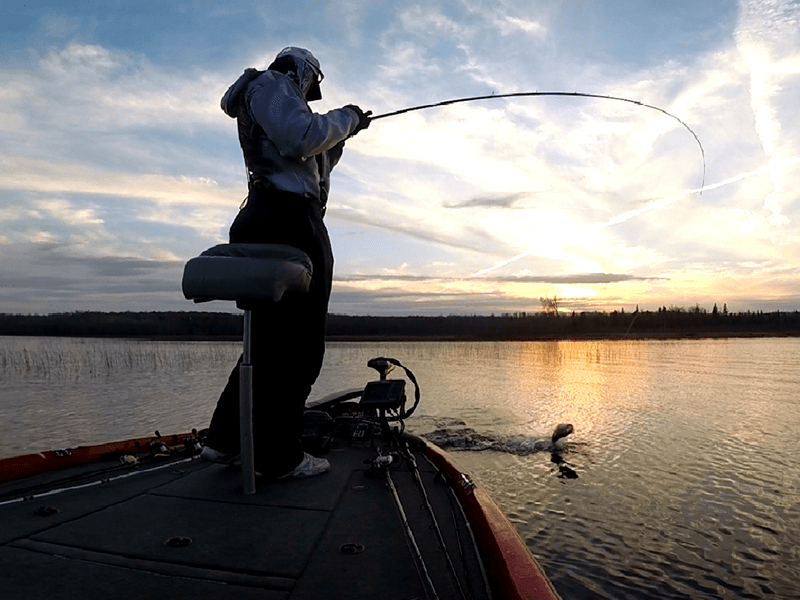 Fishing options: Small Mouth Bass, Large Mouth Bass, Northern Pike, Walleye, Steelhead, Atlantic Salmon, Lake Trout, Brook Trout, Rainbow Trout & Musky. We take our fishing very seriously! Delegates will enjoy the half-day experience with a local fishing guide, on an inland lake or St. Mary’s River. ​1. Delegates must have valid ID to apply for fishing licence, etc. Bike tree-covered, rugged terrain to explore nature up close and personal, including waterfalls. 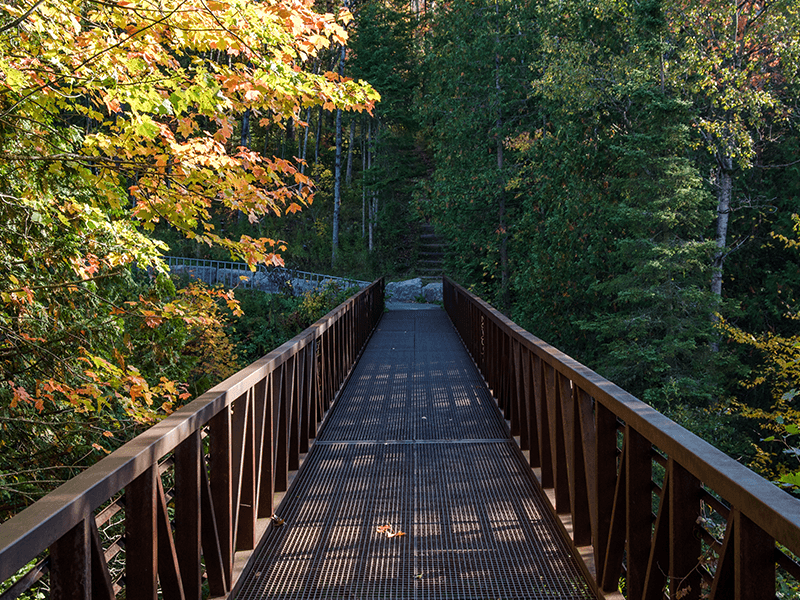 Enjoy 14 km of our 25km multi-use, non-motorized trail system provides access to all areas of the city linking together key cultural, historical, and natural areas of the community. Based on delegate interest guided tours, bike rentals and lunch will be arranged as required. 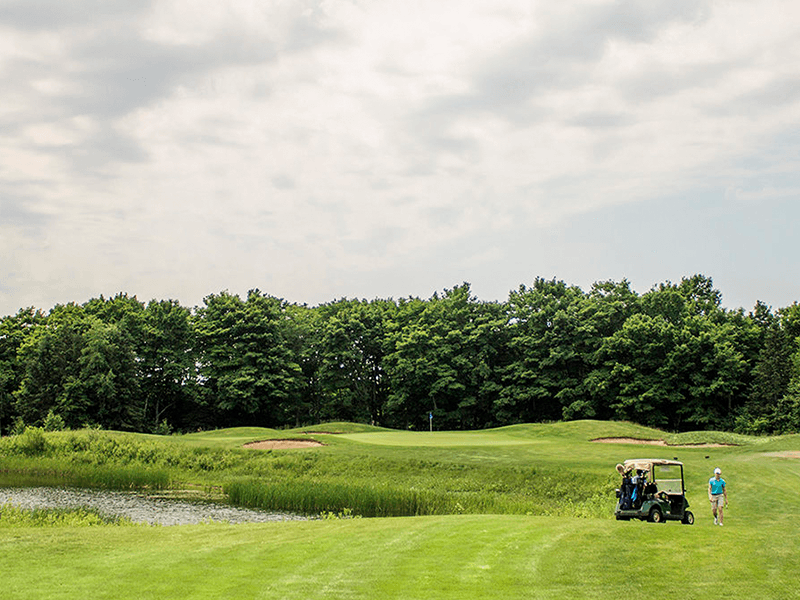 Crimson Ridge Golf Course, a scenic professional 18-hole par 72 championship golf course boasts a spectacular collection of natural Northern Ontario landscape. Tree-lined fairways, waterfalls, numerous elevation changes, gently contoured greens create a true but fair test of golf for all ability levels. Golfers will be paired in teams of 2 or 4 delegates. Lunch provided at the course. Golf carts provided. Minimum Fitness Level: Moderate. Some knowledge of golf expected. Embrace small island charm on St. Joseph Island 40 minutes away from Sault Ste. Marie. Two communities, Hilton Beach and Richards Landing can be found on quaint St. Joseph Island. Visit the marina, artisan shops, lighthouses, historic Fort St. Joseph or just sit back and enjoy the peacefulness of island living. Waterfront lunch provided at the Marina. 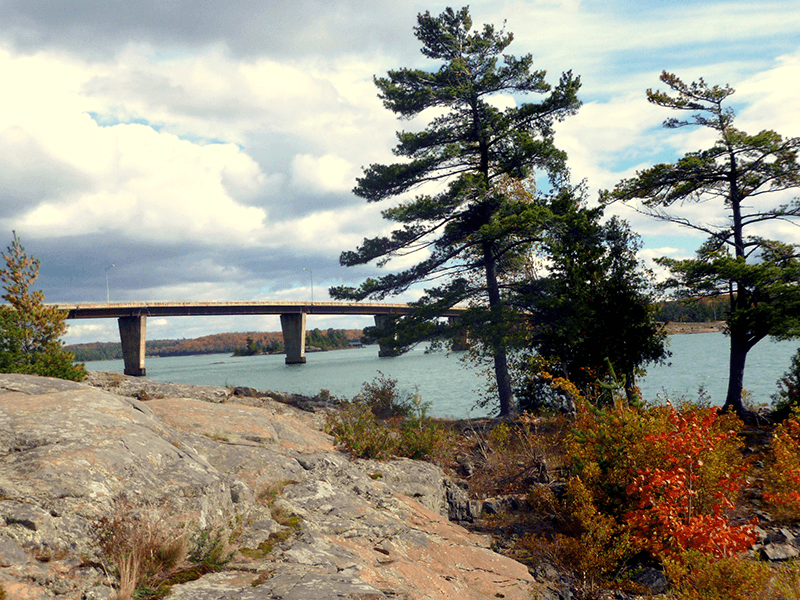 60 km from Sault Ste. Marie, paddle the sheltered waters of Batchawana Bay. Kayak from Batchawana Bay to Harmony Bay where a van will transport participants back to the starting point. Bald eagle, osprey, beaver and mink have been spotted along the shore! 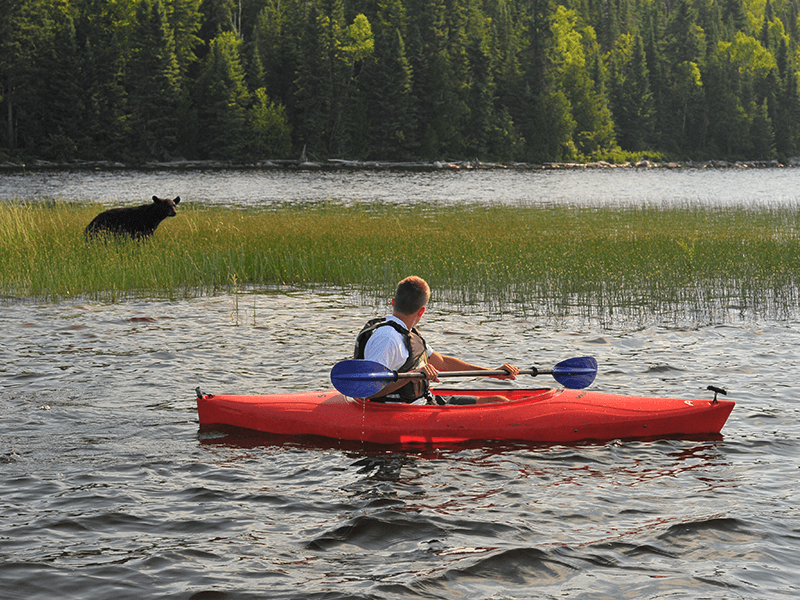 Tour begins with basic kayak instruction and offers an introduction to kayaking. 12 . Tour #12: Calling all Pizza Picassos! Enjoy a hands on culinary experience alongside our chef as you’re inspired to craft your very own pizza masterpiece. 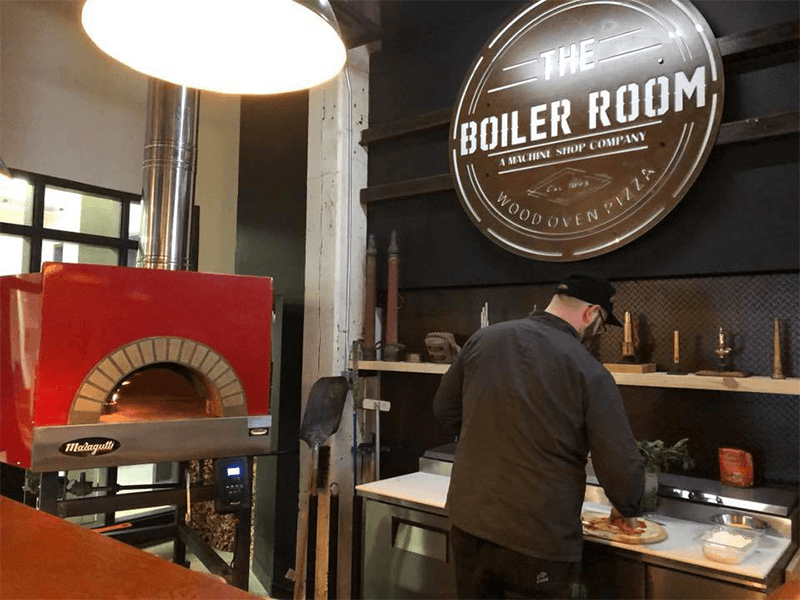 Set in the 100 year old Machine Shop, The Boiler Room Restaurant serves a variety of wood fired oven pizzas. This fun, palatable experience allows you to choose local ingredients to create your own personal pizza. While your pizza is baking in the oven, you have the opportunity to network with colleagues as you take in the history and atmosphere of this 1900 century paper mill turned event space! 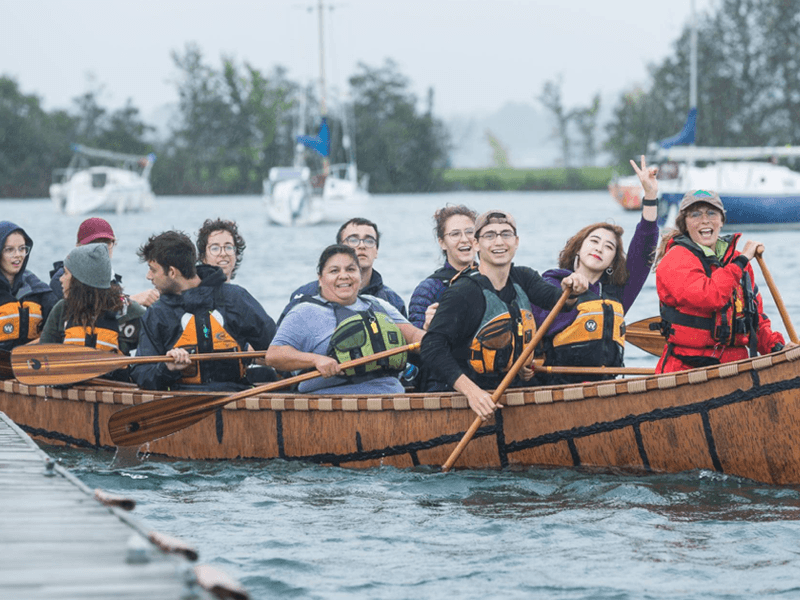 Paddle back in time as we glide into the historic canal, drift along the shores of an ancient Anishinaabek community, float below the mighty rapids, and flow along Sault Ste Marie’s downtown. Along the way, our guides will maneuver the canoe and share their knowledge of the river as it relates to the ecology, culture, and heritage of this place. Participants will learn to paddle as a team as we connect special points of interest on the river. Guides will share many perspectives and share many stories that will immerse participants in the diversity of our local cultures. A focus of the tour will be indigenous culture and its deeply rooted connection to the river. Throughout the tour we will be linking what we see, hear, smell, taste, and feel, to the fascinating ecological knowledge of the river that is informed from many perspectives. Read through our Frequently Asked Questions (FAQs) to learn more about what to expect on an average tour, what to bring, more on weather cancellations, and safety considerations. If you have any further questions, feel free to email us at info@superiorconservancy.org. We look forward to having you on board with us. Paddle On! The Sault plays host to the annual CAN/AM President’s Cup VIP Poker Run every August, where dozens of high-octane high-power boats run a course in our waters. We are bringing a taste of the Poker Run power boats to TMAC. Join the experience onboard the Power Boat “Bad Company” with 42”Fountain Executioner, 2850 HP Mercury Engines. An exhilarating experience like no other. This unique experience allows participants to get up close with these high-performance horsepower powerboats. Hearts will be pumping as you hear and feel the thunder of the engine first hand. A thrill seeker’s dream come true!! Space is limited! Experience "locking through" the Soo Locks! As your boat is raised 21 feet, straight up, to the level of Lake Superior, you will learn about the history and lock operation from your very own narrator. This tour will allow you to see all four U.S. Locks, Canadian Lock, St. Mary's Rapids, three hydro-electric plants as well as enjoying the scenic and historic waterfronts of the twin Saults. A passport is required to cross the International Bridge.